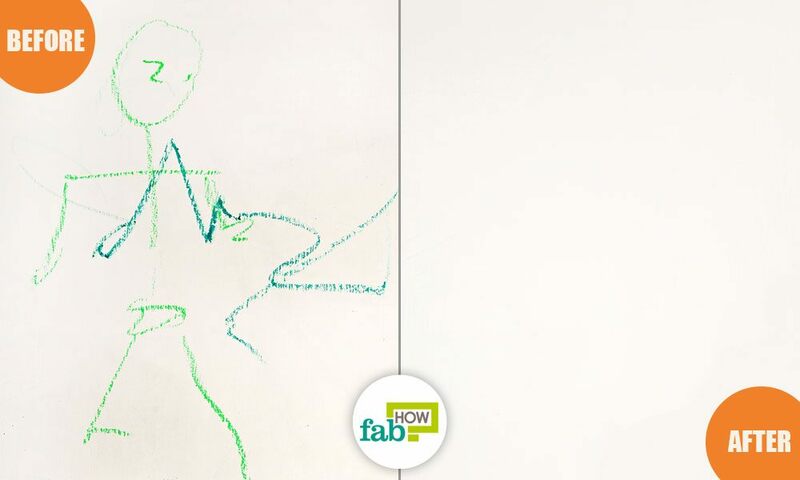 If you have kids who just love using walls as their artistic canvas, it’s you vs. them! Little hands can make big messes! 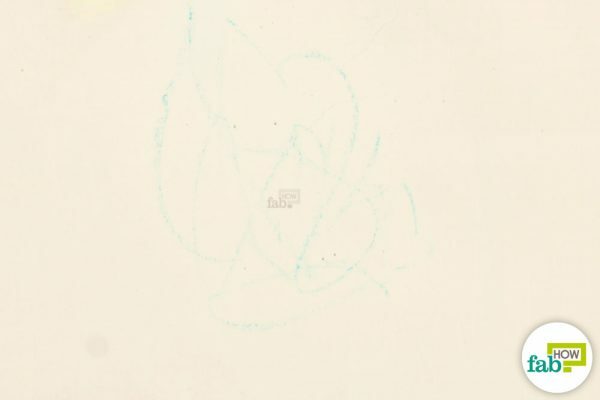 Kids love doodling and scribbling, and of course checking out all the various colors in their big box of 152 crayons. 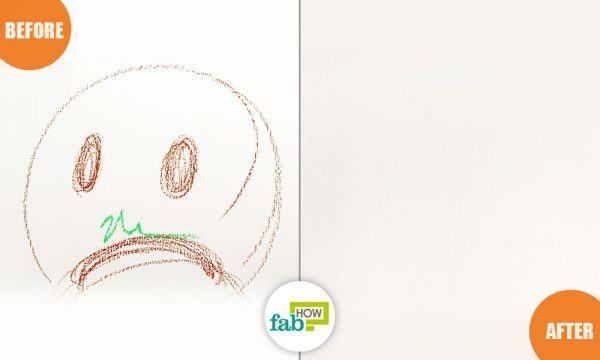 In fact, scribbling is an important milestone for toddlers in nurturing their artistic talents as well as other practical skills. It improves their motor skills, hand-eye coordination and gradually sets them on the path of writing and drawing. 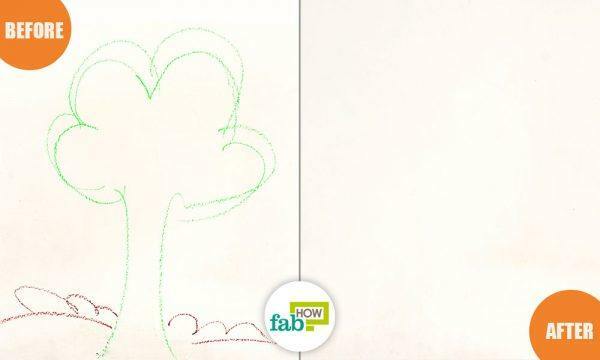 That’s all good, but it seems a bit annoying when it’s at the cost of your walls and home décor, and it gets really hard to get crayons off the walls, right? 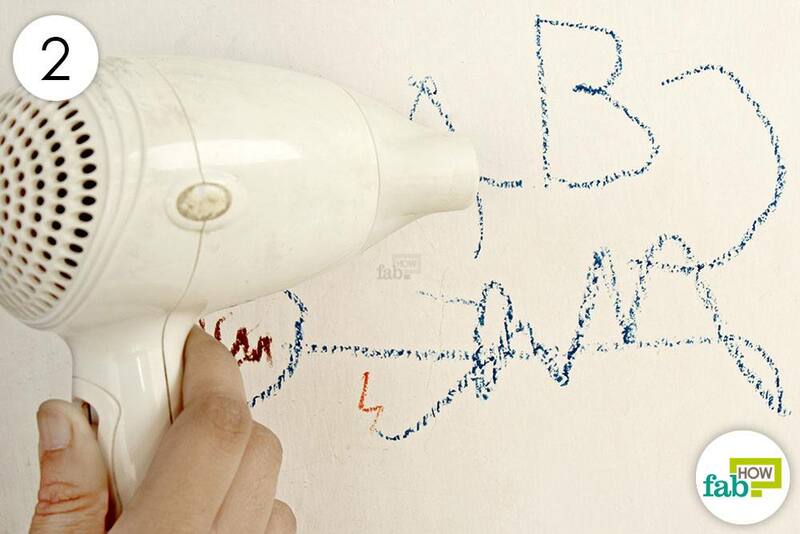 Fortunately, removing crayon markings from your walls is not rocket science. 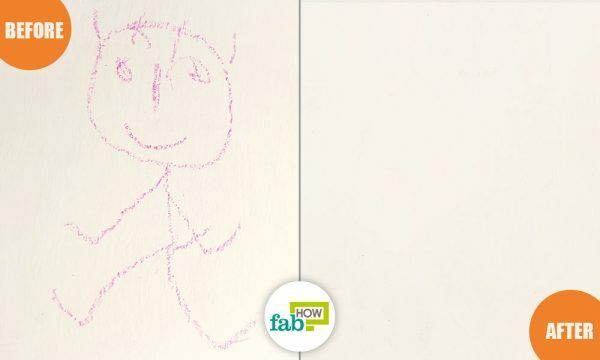 It’s so easy, you might just decide to let your little bundle of joy use your walls to explore their inner scribbling artist. 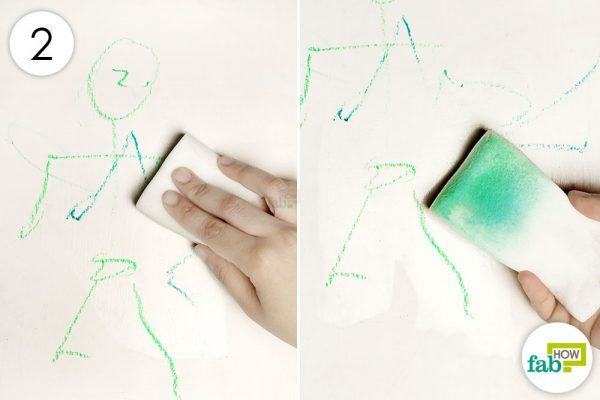 Here are some quick and easy ways to get crayons off the walls. 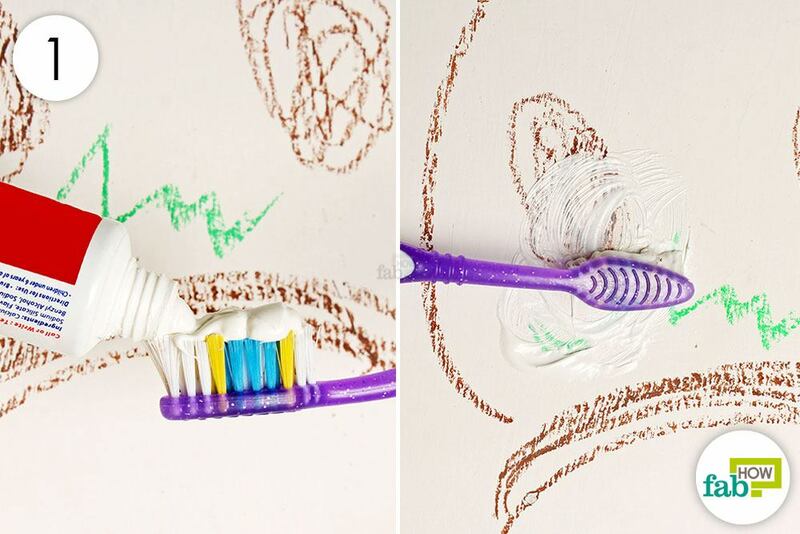 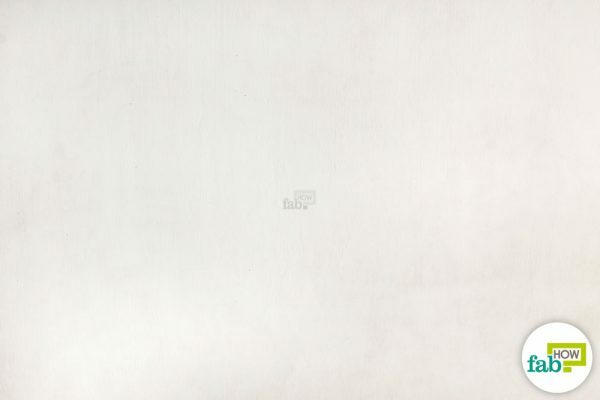 With its slight abrasive and gritty texture, toothpaste works like a charm to remove crayon markings from the wall. 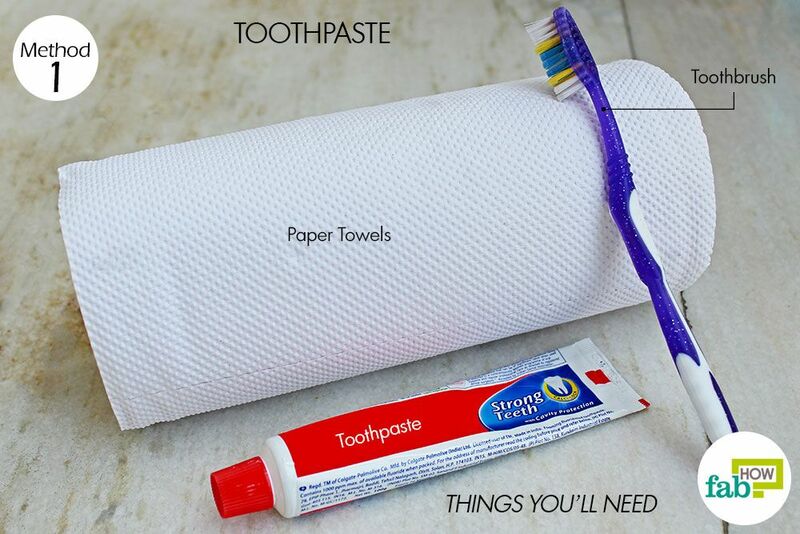 The colorful, gel toothpastes won’t work well, so be sure to have a tube of basic white toothpaste around for cleaning projects like this one. Squirt a blob of toothpaste on an old toothbrush. Scrub the crayon markings with the toothpaste. 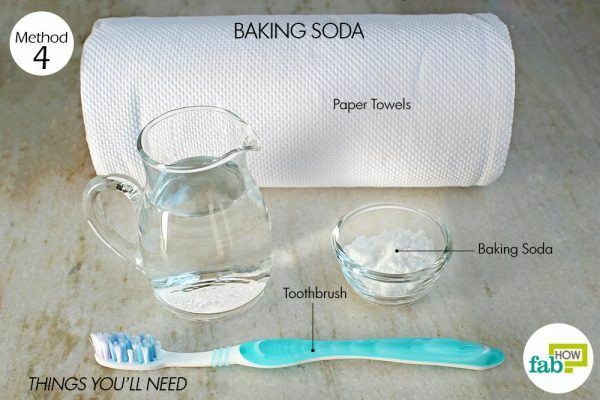 Keep scrubbing until the marks dissolve into the toothpaste. 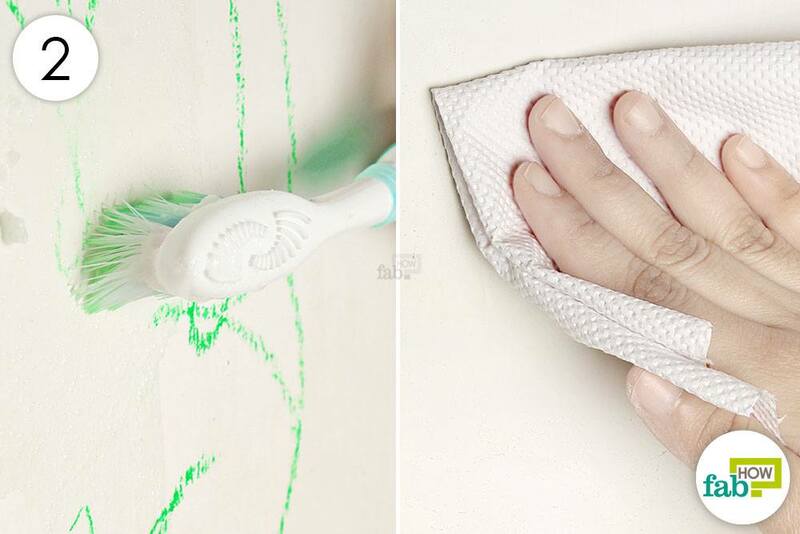 Grab a paper towel and wipe the toothpaste off to reveal your clean wall. 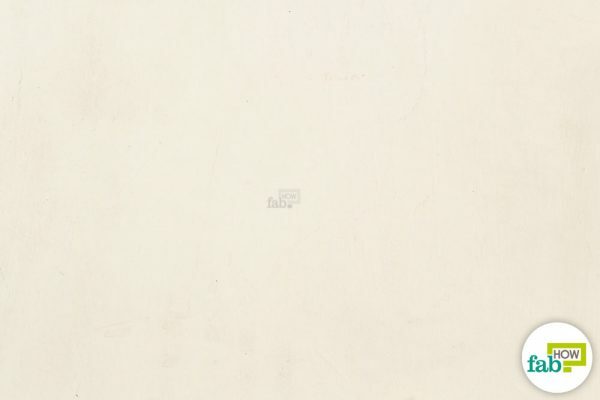 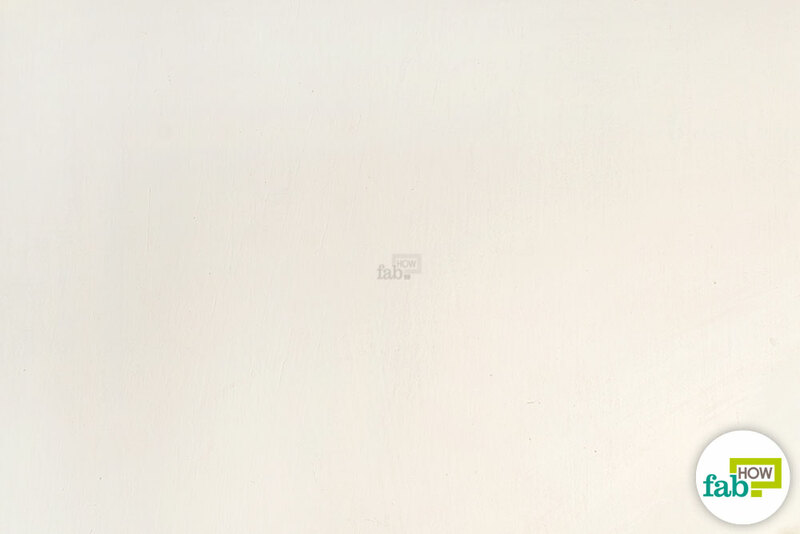 Using a Mr.Clean Magic Eraser is another highly effective technique for getting rid of crayon and pencil markings from a wall. Saturate one corner of the Magic Eraser sponge with water. 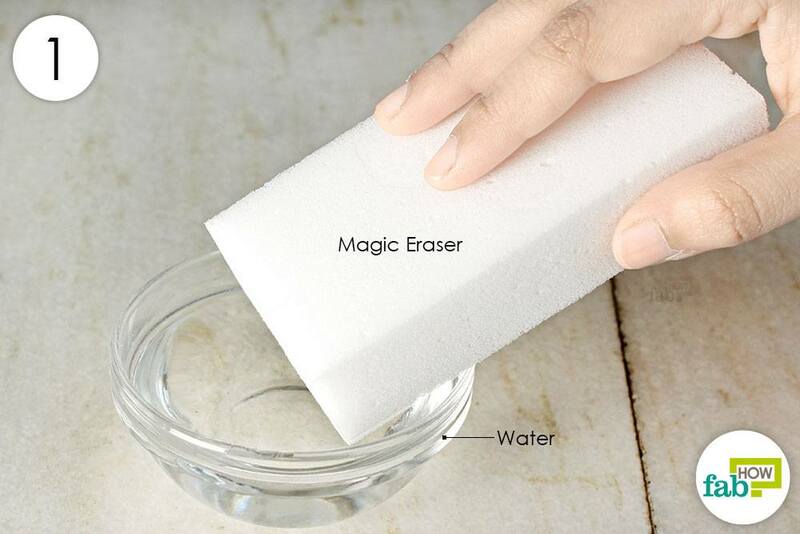 Rub the damp Magic Eraser over the markings until all the wax and color dissolves and comes off. 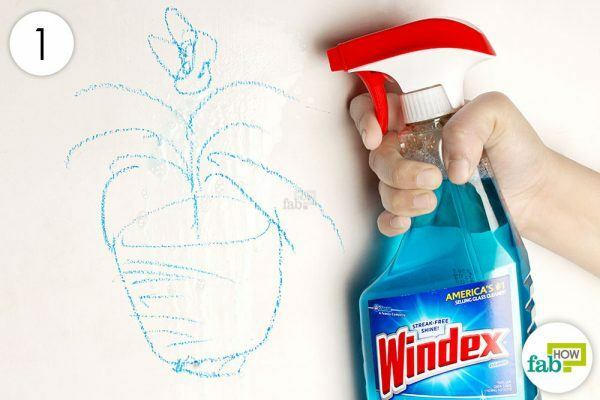 While usually used to clean windows and glass, Windex is also an effective agent for cleaning crayon and pencil markings off walls. Spray and saturate the markings with Windex cleaner. Allow the cleaner to sit for 2 to 3 minutes. 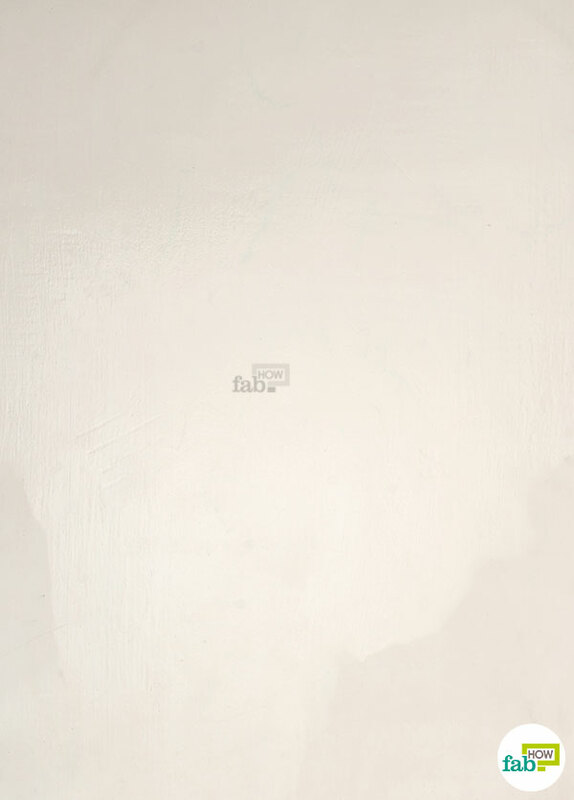 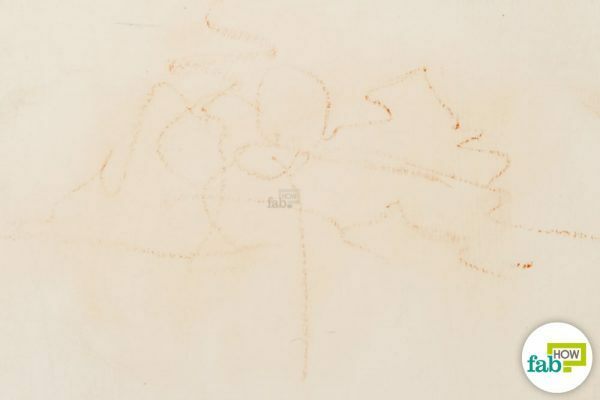 You will notice some of the marking will dissolve and start streaking down the wall along with the cleaner. 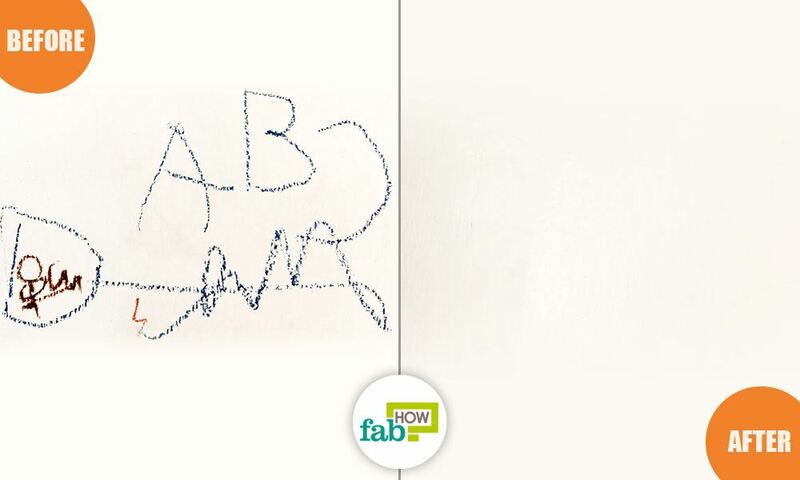 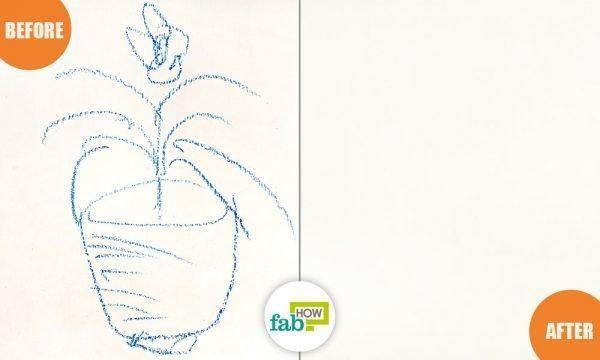 Give the wall a wipe down with a rag to remove the crayon markings and the window cleaner. The mild abrasive property of baking soda helps dissolve stains and lift them off a wall easily. 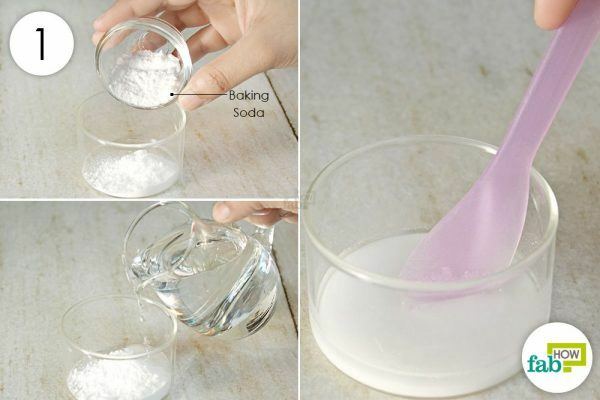 Put about 1 to 2 tablespoons of baking soda in a bowl. Mix in enough water to form a spreadable paste. Using an old toothbrush, scrub the baking soda paste over the markings. 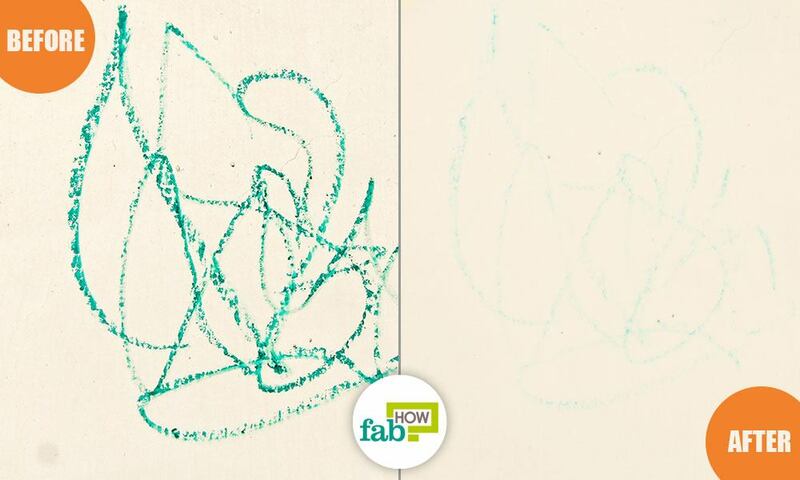 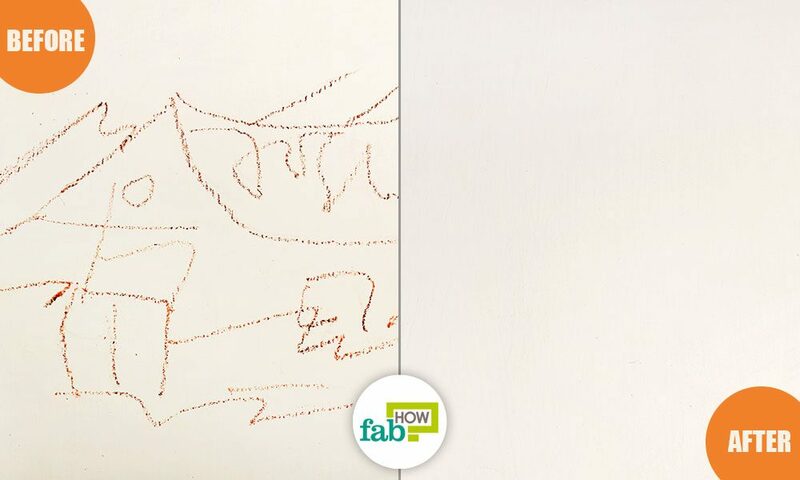 Wipe down the wall with a paper towel to clean off all the paste and crayon marks. One of the surefire ways to clean crayon markings off of walls is to use a blow dryer and dish soap. 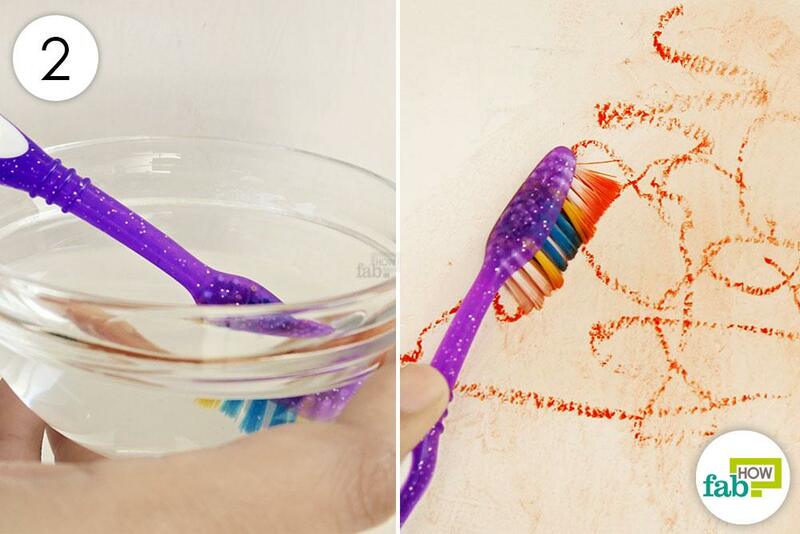 The hot air from the blow dryer melts the crayon wax so it can be easily cleaned off with a dish soap solution. Prepare a soapy solution by mixing together equal amounts of dish soap and water. Blow hot air on the crayon markings until the wax begins to melt. 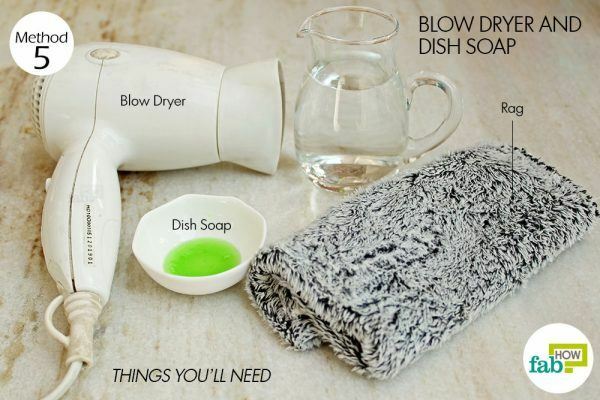 Soak an old rag in the dish soap solution. 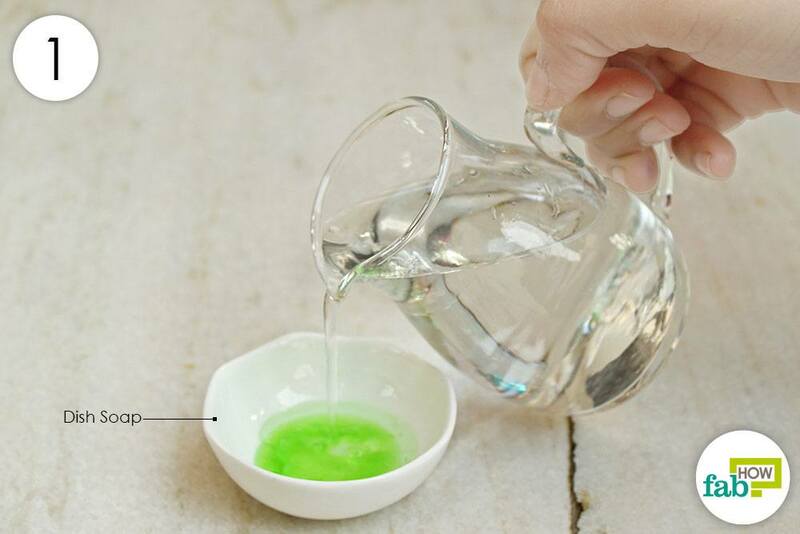 Wring out the excess liquid. 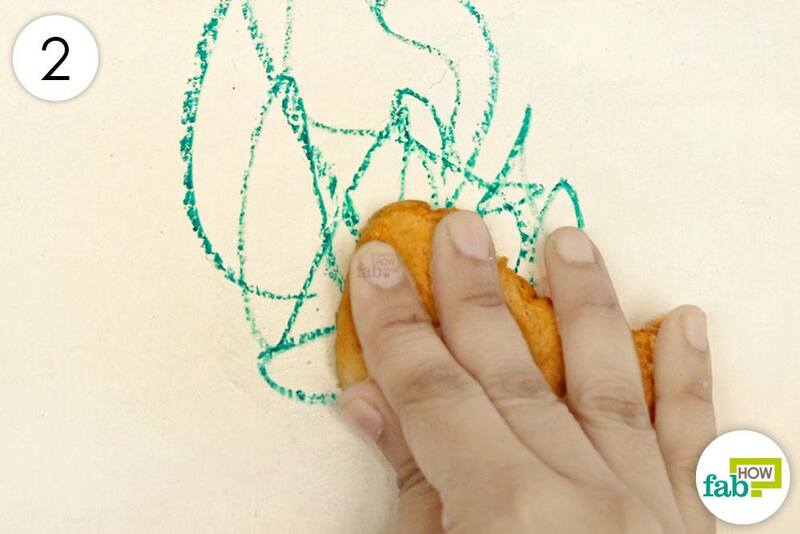 Wipe away the crayon marks. Mayonnaise contains oils that work wonders to lift off the waxy crayon marks from the wall. 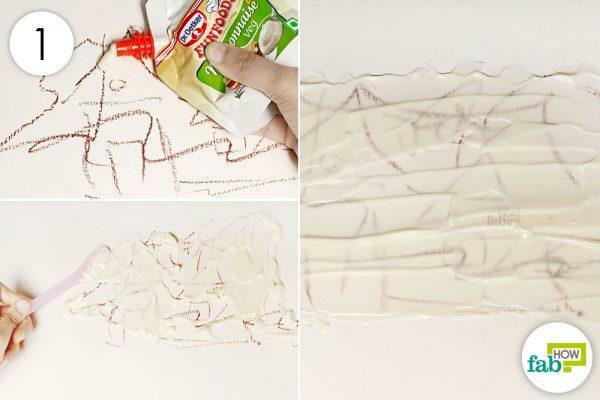 Slather mayonnaise on the wall and spread it out evenly over the crayon marks. 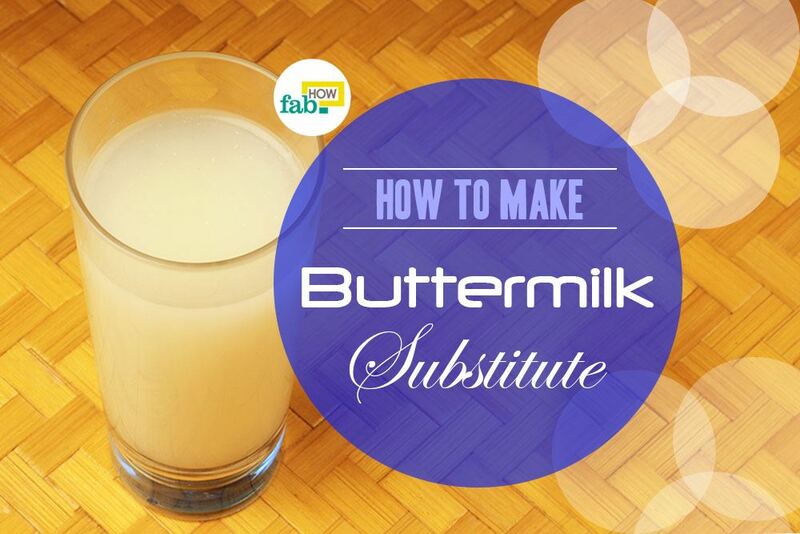 Allow it to sit for 2 to 3 minutes. 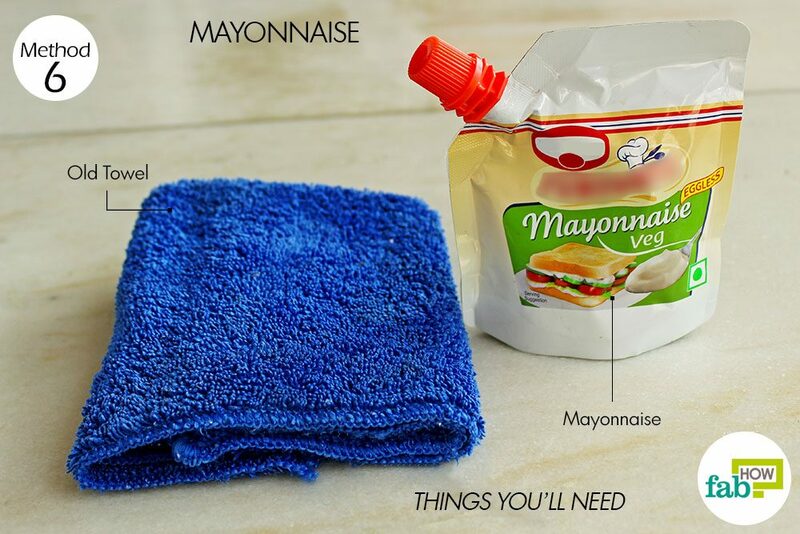 Use an old rag and rub the mayonnaise over the crayon markings. Wipe down the wall until there is no trace of crayon left. Baby wipes are slightly moist and contain a small amount of alcohol that makes cleaning crayon markings off a wall hassle-free. However, baby wipes may not be very effective in removing dark-colored crayon marks. 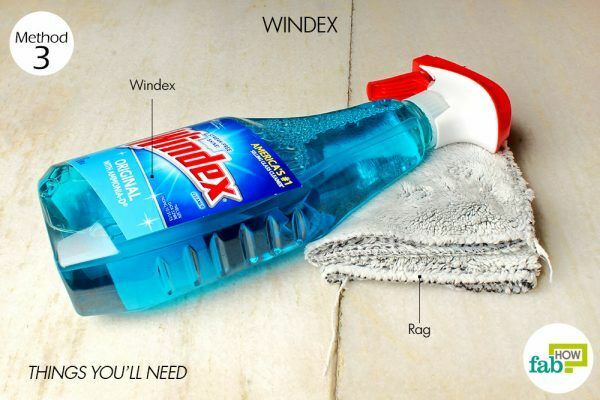 The effectiveness largely depends on the amount of elbow grease you put in to remove the stains. 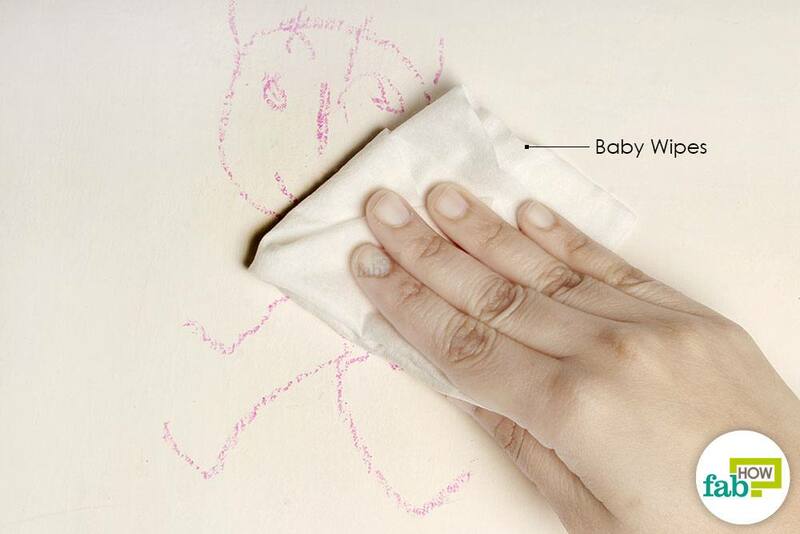 Simply grab a baby wipe and wipe the crayon marks off the wall. Use elbow grease and fresh wipes as needed. 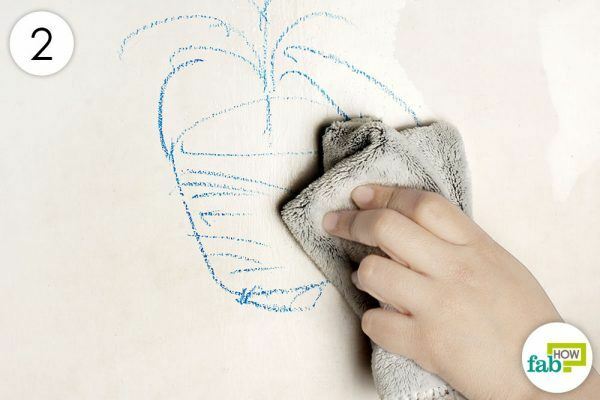 Using moist bread is another less-than-perfect but effective technique to remove crayon marks from walls. 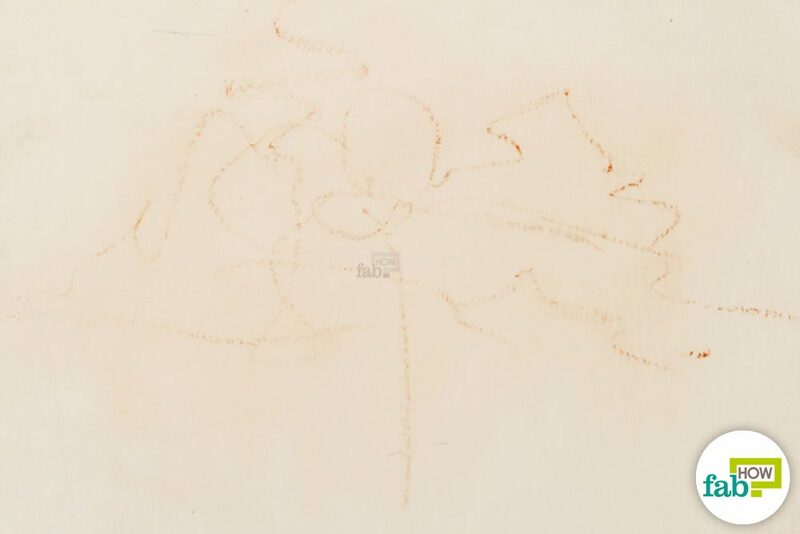 It may take a while, but eventually the marks should start to disappear. 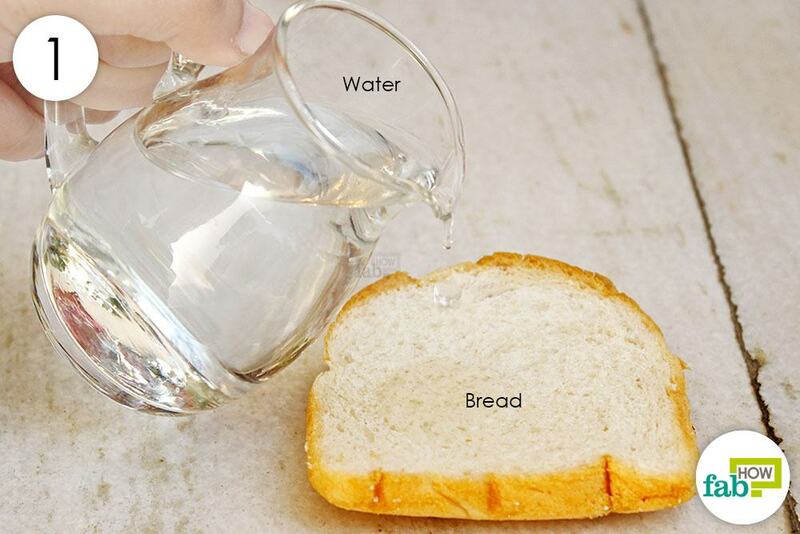 Pour a small amount of water on a slice of bread. 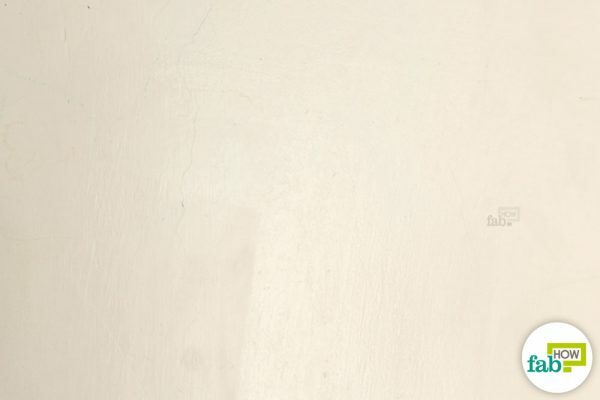 Use the moistened bread to rub the marks off the wall. 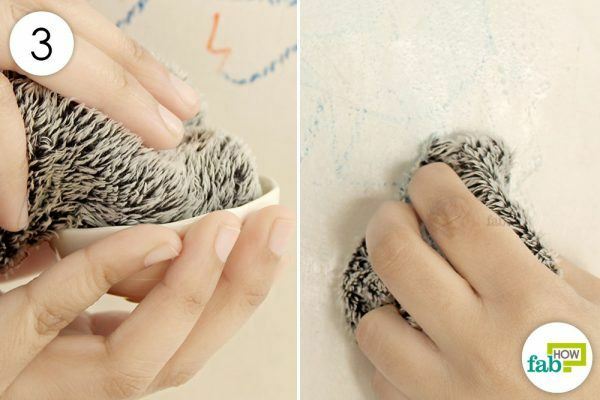 Keep rubbing until you achieve satisfactory results. 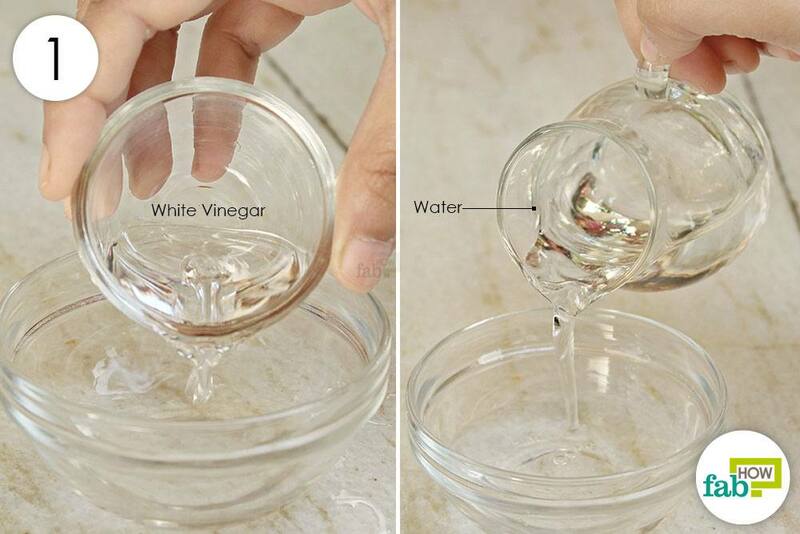 Vinegar is another popular technique for cleaning things up in your house including crayon markings from a wall. 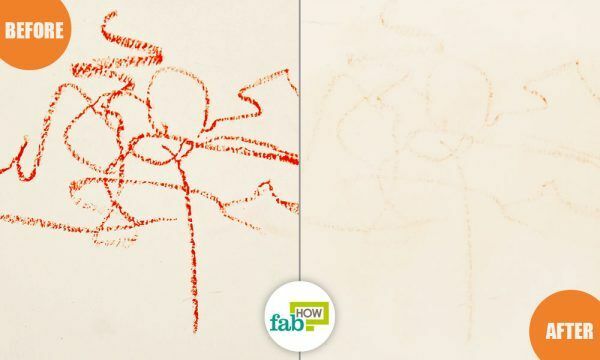 It contains acetic acid that breaks up the wax and pigment components in the crayon marks. Make a solution with equal amounts of vinegar and water. 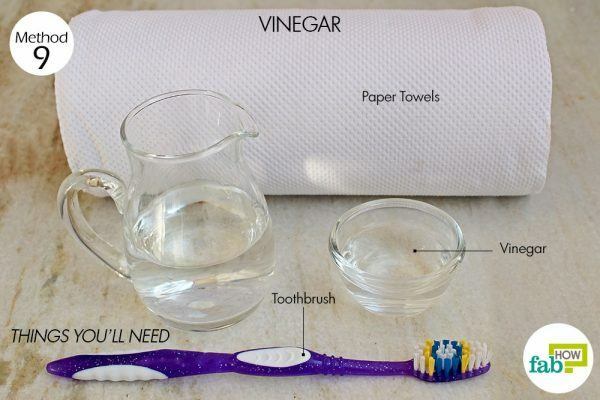 Dip an old toothbrush in the diluted vinegar solution. 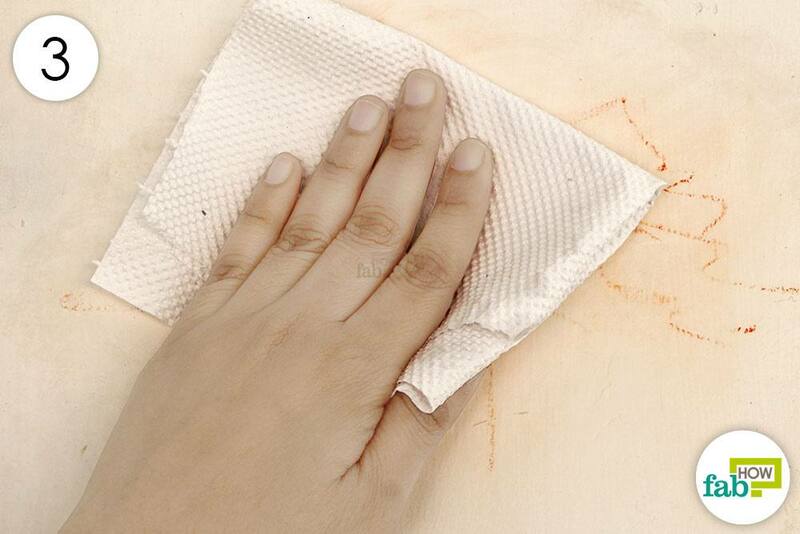 Rub it on the marks to remove the stains. 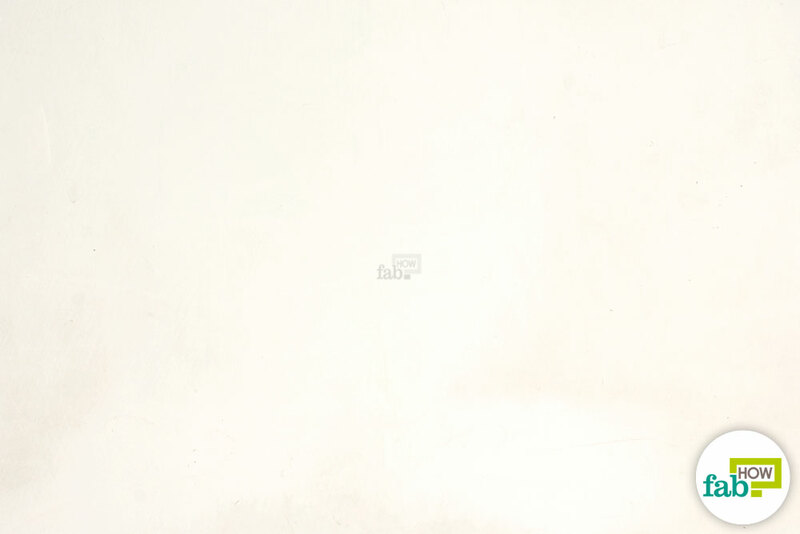 Keep scrubbing until all the pigment comes off the wall. 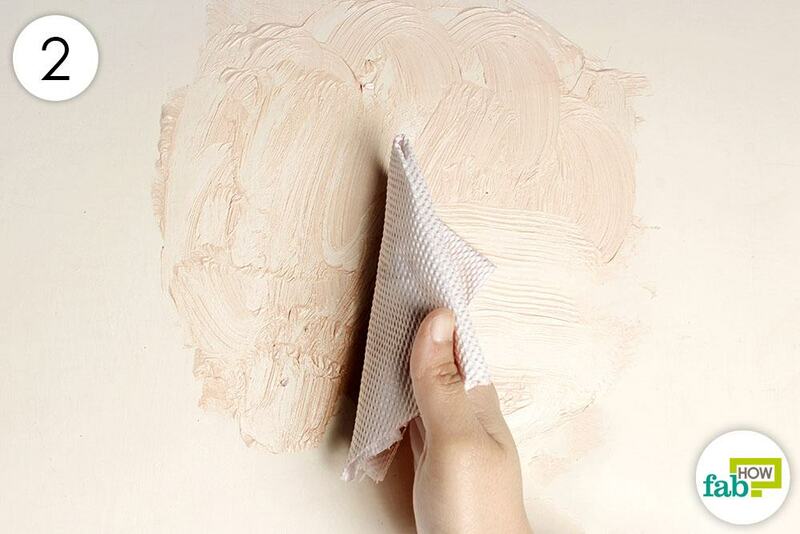 Wipe down the wall with paper towels to remove the residue.